What does “lifting the neck” mean? It means that as I ride the horse during his early high school dressage training, I am encouraging him to keep his neck up (as vertical as possible -akin to the position a stallion poses his neck when showing off for mares and the vice versa; but not ‘back’ to such a position that it would impose a ‘ewe’ neck or ‘pigeon throat’ ), versus in either a neutral (approximately horizontal to the back), or lowered position (lower than the withers) – ensuring his poll is the highest point of his silhouette. 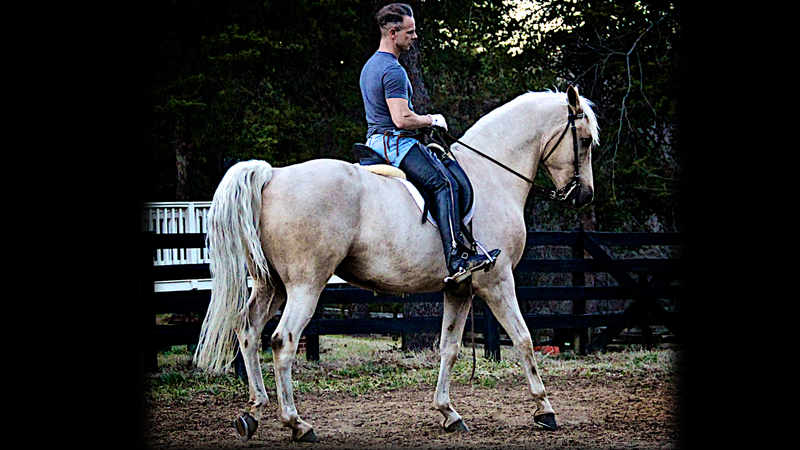 With my horses, I take care to monitor the position from the time I mount up, until we are done with our working lesson – usually 20 or so minutes later. If our horse has understood the preliminary jaw flexions, maintaining the neck in this position from the saddle is very easy. The action of the bit is applied – as gently as possible, but to effect – against the corners of the horse’s mouth, not against the bars of the jaw. This position of the neck develops the musculature of the withers, which supports the neck, making it, eventually, the most comfortable position for the horse to maintain, presuming he must remain ever ready to move in the opposite direction from which he is traveling – or, from the halt, in any direction at any speed. A higher neck position also encourages the hind legs to move more forward beneath the mass of the body – that is to engage. When engaged, the hind legs are spending more time underneath the horse and less time behind him (as wold be the case with extension). That is to say, he becomes necessarily more collected. The object of high school level dressage is, ultimately, complete control over collection. During initial lessons, we will actively encourage him to lift his neck as described above, but what we will not do is this: attempt to force his face into a vertical position by pulling against the bars of his jaw with the bit. Instead, we will let him decide how to hold his head, as long as he maintains the position of his neck and stays on the bit. Why? Because, as it turns out, the most comfortable position will become the most correct position. And the easiest way to teach him this is to let him teach himself – using gravity as your teacher’s aid. Baucher is credited with two methods or ‘manners’, which, implies more separation among the key editions of his book than there really is. I’ll defer to Jean-Claude Racinet (Racinet Explains Baucher) for a more comprehensive explanation, but, to summarize, the ‘second manner’ is by and large an evolution of the first, not a retraction. The “second manner” emphasizes some additional principles, while retaining virtually all of the outcomes set forth in his original work. Perhaps Baucher took the delicacy required for the effet d’ensemble for granted in his initial work. 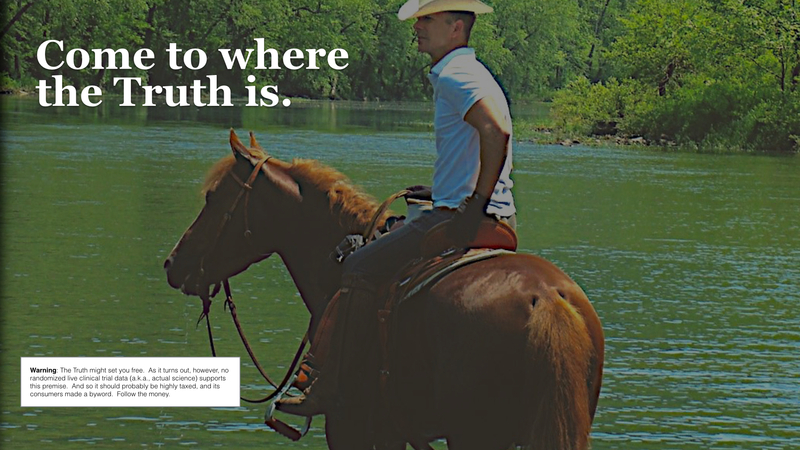 Many readers of his day, lacking the direct oversight of the master, fell into the quagmire of “push and pull” syndrome – creating horses who were uncertain whether to move forward, backward, or remain still. Clarifying the principle of clear aid separation quashed the problem neatly. Thus, the first new distinction of Baucher’s “second manner” is the rule “hand without legs, legs without hand”. The second innovation was the practice of “lifting the neck”. This was indeed an essential evolution of Baucher’s first published manner, which, by comparison, had perhaps pursued the ramener too directly, too soon, often resulting in a ‘curled’ neck, with the poll somewhat lower than the top of the neck (albeit, still in lightness, and merely the result of positioning, versus traction or pulling). Now, the “lifting the neck” was not exactly a “new feature” of the second manner – and it occurs rather naturally as a result of constantly confirming lightness through the jaw flexion*. 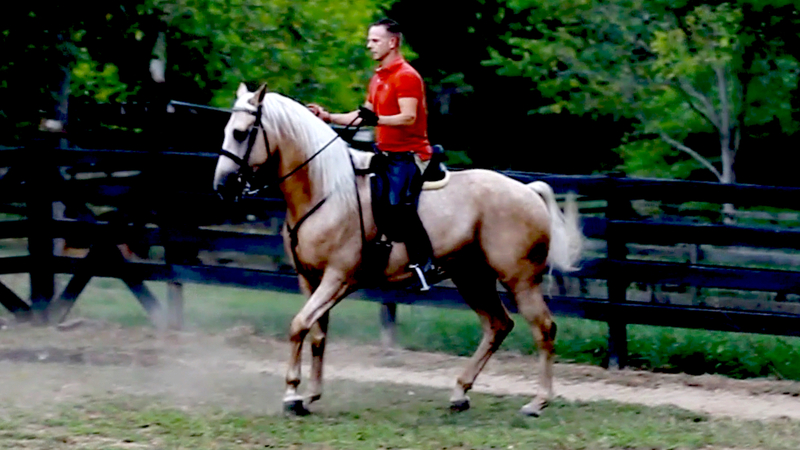 However, the second manner does prioritize the position of the neck specifically, and gives it priority over the complete ramener in the interest of balance, and the purchase of adequate time to gymnastically develop the muscles of the withers, haunches, and poll, respectively; utilizing only the jaw flexion to confirm lightness (to the point of having the horse in hand – not to the point enforcing vertical flexion of the face). This is a critical concept within the Baucherist school, so it’s important to understand why and how it works, and why is really matters. You will by now be familiar with Baucher’s most central concept: the relaxation of the jaw. This is so essential, and so easy to overlook when we go about training ‘intuitively’, and in the absence of a specific progression or theory. Until we can achieve the relaxation of the jaw, there really is little point in mounting the horse – we simply have no guarantee of submission once in the saddle, and also lack the controls to ‘shape’ the horse in movement. By way of review, the horse has a few options in terms of his response to the bit. He can ignore it – a passive resistance; he can resist it outright; or he can “accept” it – which means he is following it, essentially: he is listening to it, without any intent to defeat it … it becomes a pacifier through which he receives communications. You may have noticed, by being alive so far, how impossible it is to do one thing, and also the opposite thing, especially at the same time, and in the real world. Yes? If the horse is going to resist the bit, he must first resist with his jaw, right? If he does not resist with his jaw, he simply cannot resist with his poll – because his jaw, in response to the flexion, is relaxed. Mechanically, therefore, by definition, he cannot ‘grab’ the bit – he cannot push against it with his jaw (which translates to “pulling” against the hand from the rider’s perspective), because he is, by definition, already giving to it. In the first and second manner, we have defeated the horse’s ability – at least in his mind – to resist the bit, because we have more or less tricked him into believing that the only way ever to relieve himself of pressure from the bit is to relax the play of his lower jaw. In so doing, we have also eradicated his ability to resist with his neck, incidentally. You cannot lift a bucket of paint by the handle using your hand if you keep your thumb, fingers, and wrist relaxed – no matter what you do with the rest of your arm. With the proper technique, the relaxation of the jaw is so easily and quickly achieved, it is very tempting to ask him to flex his poll also – which he will now only too gladly offer. Theoretically, we could have a lovely “headset” from the get-go. Except for this: without the proper muscular development, this premature request results in much discomfort for the horse, and therefore, in a tendency to drop his neck, because, without having practiced it, he simply lacks the strength to a) carry his poll at the highest point, while b) presenting a vertical face, resulting in too much weight on the forehand, and/or an ‘over-bent’ profile. And here’s what you get, sooner or later, when you force a horse into chronic discomfort: more resistance. By now, hopefully, the problem of too much weight on the forehand is obvious (it is destructive to potential mobility). But what’s wrong with “over-bent”, aside from the obvious fact the name implies it’s “too much” of something? If you’ve read anything of mine, you know my rationale is not going to be “because the rules say the poll should be the highest point”. As it happens, the rules do say just that (though modern dressage exhibitors ignore it). But certainly there must be some coherent rationale from which the rule is derived, right? In the case of any rule worth following, of course. And in this case, it regresses to physics. The mass of the neck acts as a lever and counterweight on the mass of the horse overall. So does the head, of course, but if you have looked at a horse lately, you might have noticed a) one is larger than the other, and b) the bigger thing controls where the smaller thing is, pretty much. SO, if the primary power source for mobility resides in the haunches (and if we understand mobility as a capability measured by our ability to launch in any direction, at any time), then it is easy to understand why, if we could, we would glom the head and neck together in one columnar, vertical blob, and stack it as close to the center of the horse as possible – versus letting it protrude from one end or the other. We can’t do that and still have a pretty horse anymore, or even a working one – but what we can do is ask the horse to raise his neck, as it is, more or less vertically above his shoulders, instead of far in front of them – at least to the extent his conformation will reasonably permit. And when we do this, what is the highest point? For now, at least, it is certainly the poll. To further optimize the weight distribution, we can tweak things a bit further by displacing the head also, within reason, to a position which roughly comes vertical and parallel to the neck, which, visually, results in a more or less vertical positioning of the face. Thus the complete and proper ramener, which describes the combination of a vertical neck and a vertical (-ish) face – a position in which, for most horses, still results in the poll being the highest point (excepting the ears, of course). And this is as close as we can come to the notional ideal of stacking his head and neck over the center of his mass. But before I proceed, let me pause to further clarify how we should think of “over-bent” – and, more specifically, help us avoid sub-optimizing like simpletons around another ‘rule of thumb’ which has pragmatic origins, but which is often used to justify thoughtless interpretations that make me want to claw my eyes out. If we had X-ray vision, we could easily determine if any given horse is “over-bent”, because we could see the actual bones comprising the neck. Unlike what we see on the outside of the horse, on the inside we would notice the swan like curvature of these vertebrae when the horse’s head is raised and clearly observe where the first bone of the neck joins the skull. This, cavaliers, is our actual concern. Unfortunately, its relationship to the fleshy external view is only approximate. Horses with cresty necks have an increased amount of muscle and fat along the ridge of the their neck, significantly raising the neck’s top-line just after the poll, creating a beautiful arch. This is the case with stallions of many breeds, but can also be the case with many geldings and mares, especially among the Spanish breeds and their derivatives, as well as, for example, the Morgan. With this in mind, understand that by “over-bent”, what we really mean is that from an X-ray skeletal view, the poll descends below the skeletal view of the vertebrae, which happens as a result of the rider pulling the face in, effecting what he thinks is a “correct” or “pretty” position by physically forcing the horse to bend his neck in advance of the horse having found his own balance. Such horses respond – typically – by curling their neck between the 3rd and 4th vertebrae. A horse in proper self carriage will not bend his neck here, because it is unnatural and uncomfortable. Baucher’s second manner does a better job of emphasizing the fact that the ramener proper is actually comprised of two conceptual components: a vertical neck first, and then a vertical facial profile; versus one thing (a “head set”). All things equal, if we could pick only one of the two things in order to optimize our mobility, which would it be? It would be the neck – which I hope is obvious now – for two reasons: it’s the heavier thing, and, moreover, if the neck is wrong – if it is not vertical – then the verticality of the face becomes entirely arbitrary in terms of enhancing mobility. It only adds value to mobility in its role as an auxiliary to the vertical neck. Now, I should be able to stop right here, and you, as a thinking person, should be fully convinced of the priority of the neck in terms of seeking the ramener. But I won’t, because, yes: there is another handy benefit, and it’s not a hollow back. Why is not a hollow back, you ask? I will tell you: firstly, that would not be a benefit at all. But you knew that. Secondly, since the horse – unlike you – has no collarbone (clavicle), raising his neck high does not force him to arch his back – also unlike you, and contrary to what your teeny-bopper “trainer” – or anyone else – may have told you. Because what she did to confirm her opinion was crawl around pretending to be a pony, which is fine – except she is not; whereas I, after not doing that, simply looked at the skeletal structure of the quadruped and observed that, while there is bone-to-bone continuity from the hind legs to the spine, the same is not true for the front legs, which merely dangle from the body via soft tissues. Ever met a deer or a cat? Or maybe a dog? Same trick, folks. Does your dog’s back ache after staring up at you for an hour trying to lock eyes for another treat? His heart maybe – but not his back. But here’s what raising the neck does do: it encourages him to bring his hind legs beneath him. Which is several words to mean: collect – which, if there was only one word we could choose to describe the goal of high school, is the word that would be the word. And now you’re friends are smirking a little, because they know you believe everything you read, and you shouldn’t, whereas Anka has an accent, and you’re just an American. And I’m going to save you from being an American. Again. Unfortunately, she has presumed that you intended to imply the same mechanism (or lack thereof) which frees the back from the front legs similarly, somehow, but contra-wise, forces the hind legs to come underneath. Not if you said what I said. She has mistakenly inferred an erroneous rationale, which is common. Among the unthinking. What you said – if you said what I said – was that raising the neck would bring the hind legs underneath. And this is still what it will do. But not by way of skeletal mechanics – not exactly; instead, it is by way of quadrupedal physics, which is different – and which she would have more probably known, had her compatriots earlier made what would’ve turned out to be an important exception, and not chased Albert Einstein to America’s open arms. With the neck lifted, the horse’s mass is now both higher and further back – think: a stack of plates. In order to better balance himself, he must come underneath, and, when he does, he must lift more than push as he moves, taking smaller steps. And this not only helps us move toward collection more quickly than, say, extended gaits (strangely? ), but also helps us develop the very musculature we need for increased collection for more extended periods. Ta-da! You’re smart again. For now.